Visit any participating RxR quilt shop to pick up your free RxR Taste the Experience themed row pattern. One pattern per person. Have fun traveling, shopping and collecting as many different patterns as you like during the RxR collecting period, June 21–September 3, 2019. 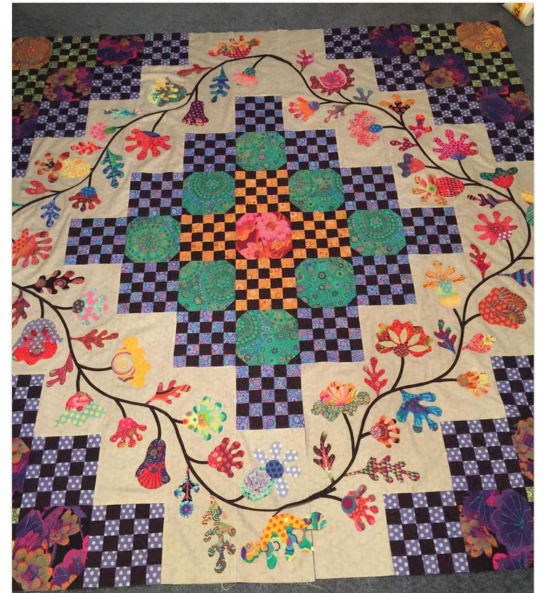 Anytime between June 21–October 31, 2019 be the first person to bring a finished (quilted, bound, labeled) quilt using at least 8 different rows from 8 different participating stores into a participating quilt shop and receive a bundle of 25 beautiful fat quarters. 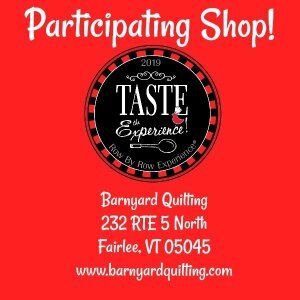 Include the shop’s row in your quilt and receive a bonus prize! Limit one prize per person. 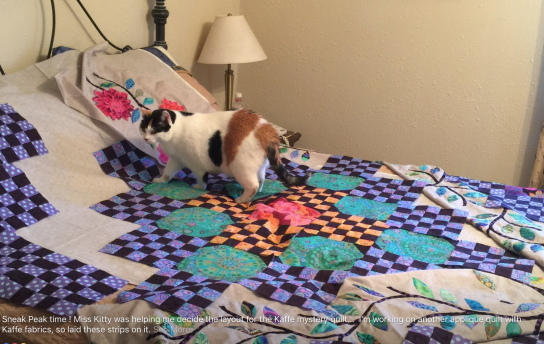 Here are a couple of different ideas for assembling the Mystery Quilt. Space at each retreat is limited to 20 participants.